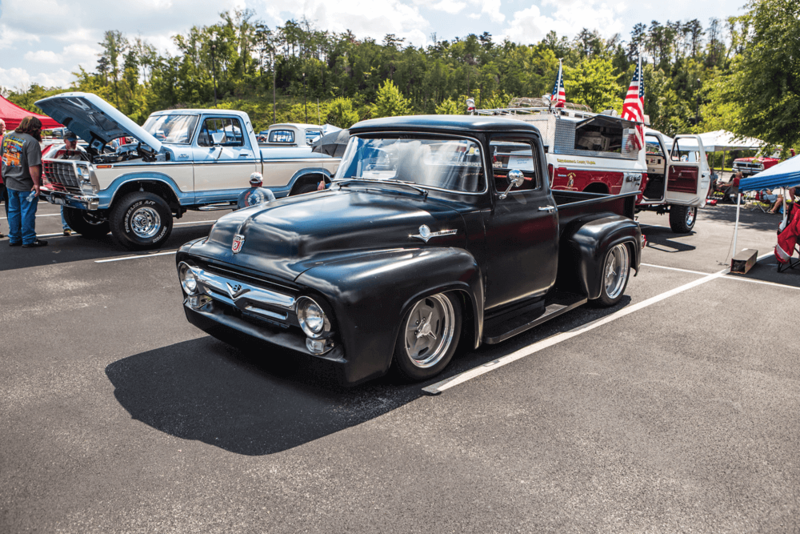 The beautiful Smoky Mountains offer great views and experiences for those willing. 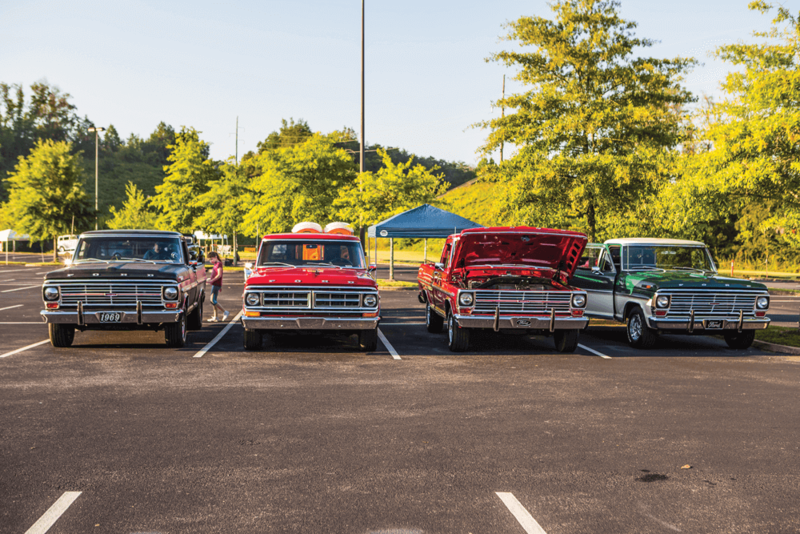 And what better place to host a gigantic Ford-only truck show? 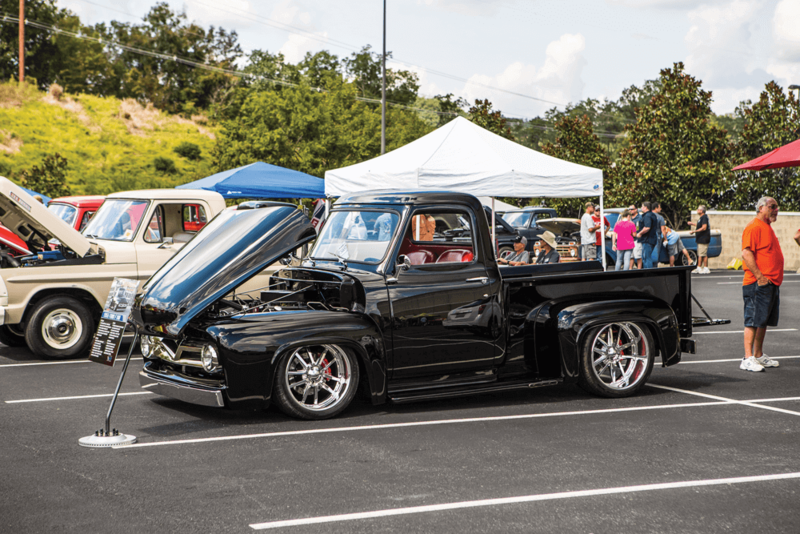 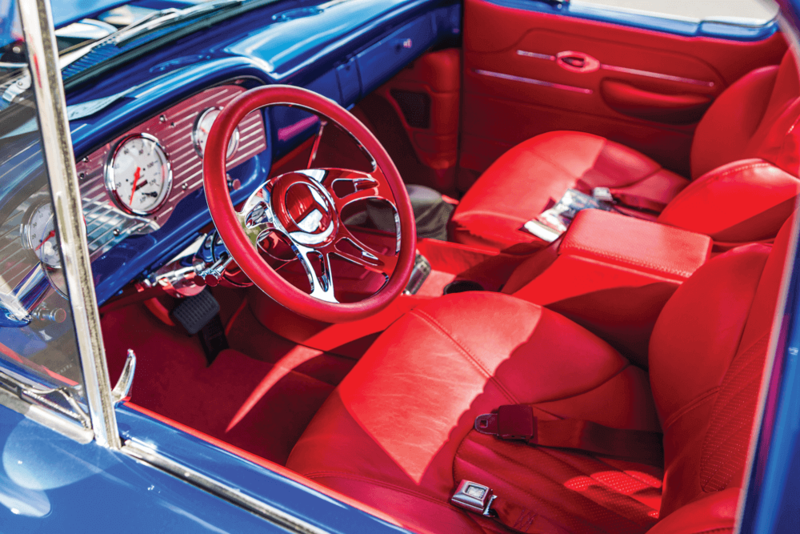 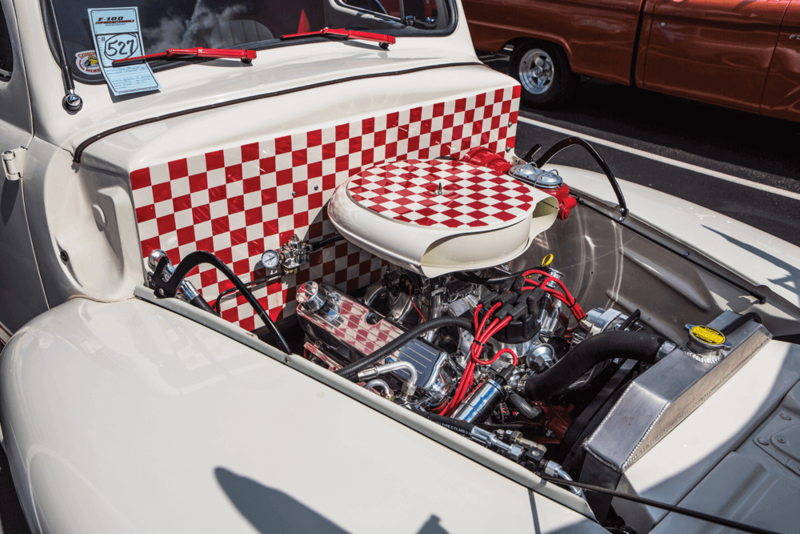 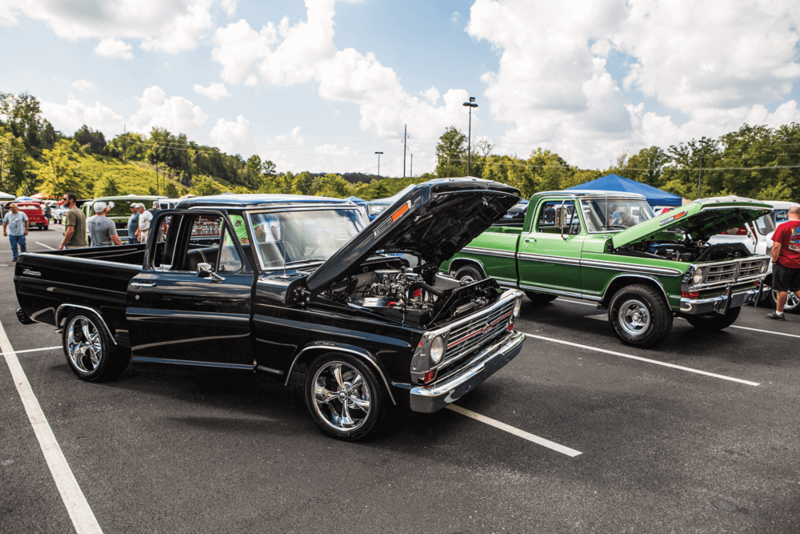 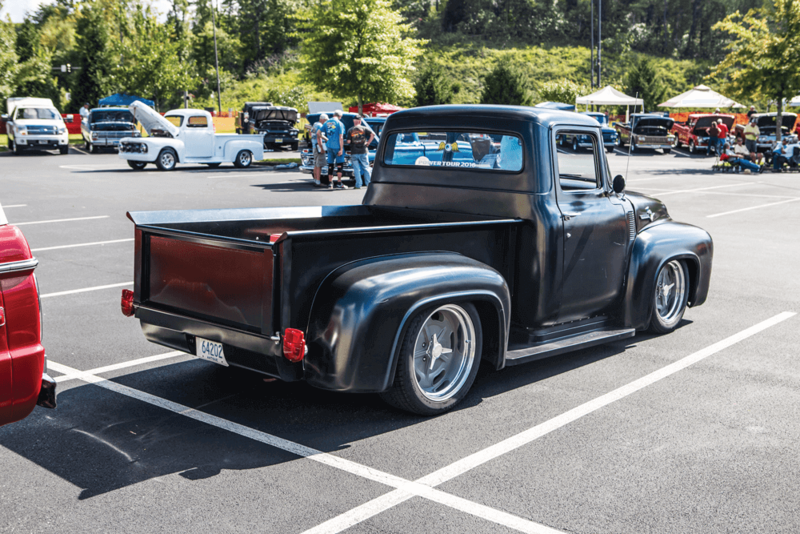 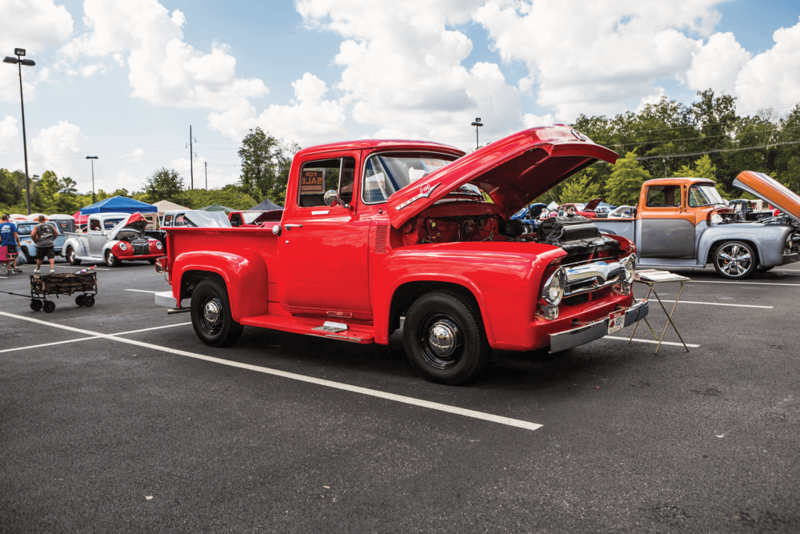 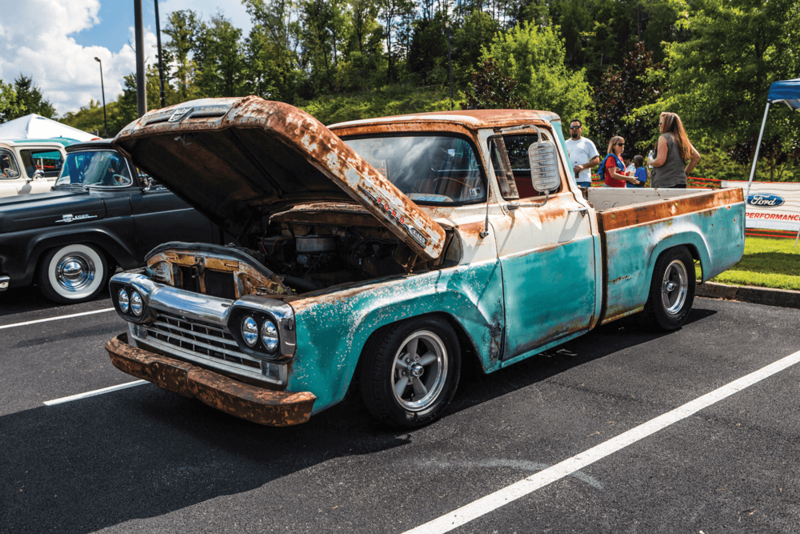 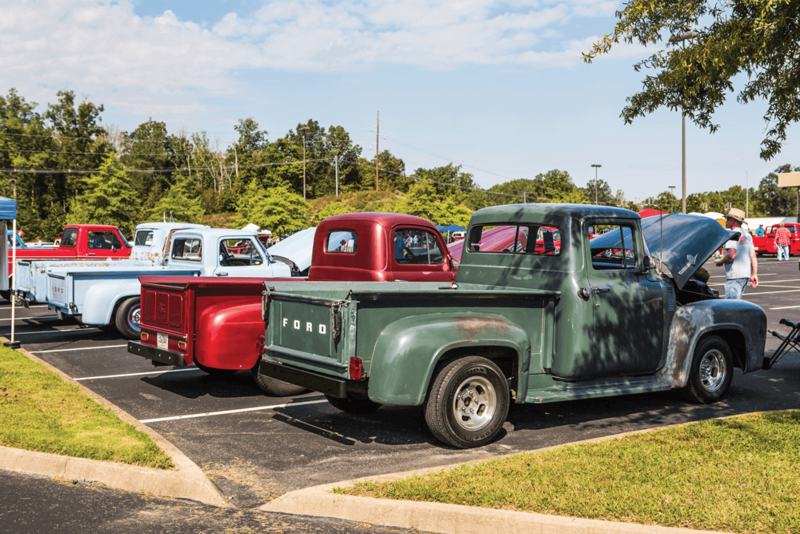 We decided to take in these sights and sounds for ourselves and made the trek out to the 41st annual F-100 Super Nationals in Pigeon Forge, Tennessee. 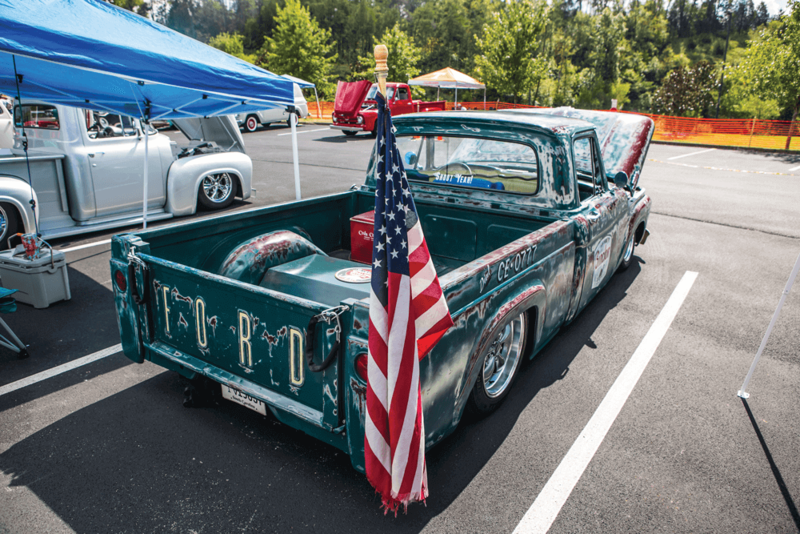 What an absolutely amazing weekend. 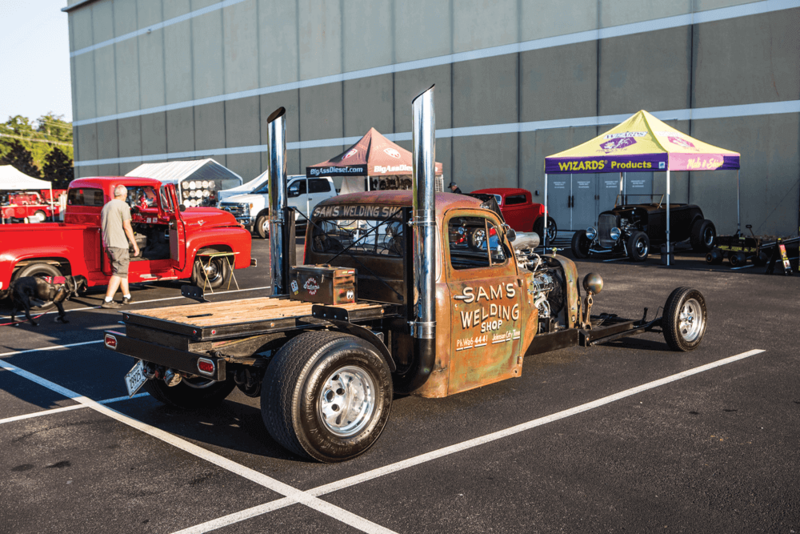 Held Oct. 4-6, the show itself was located at the Sevierville Convention Center. 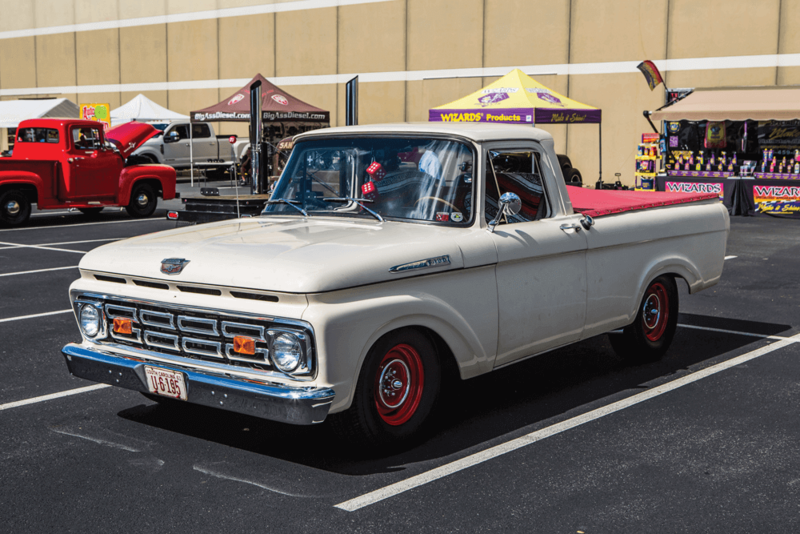 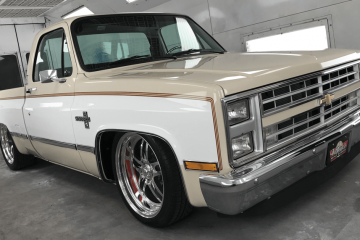 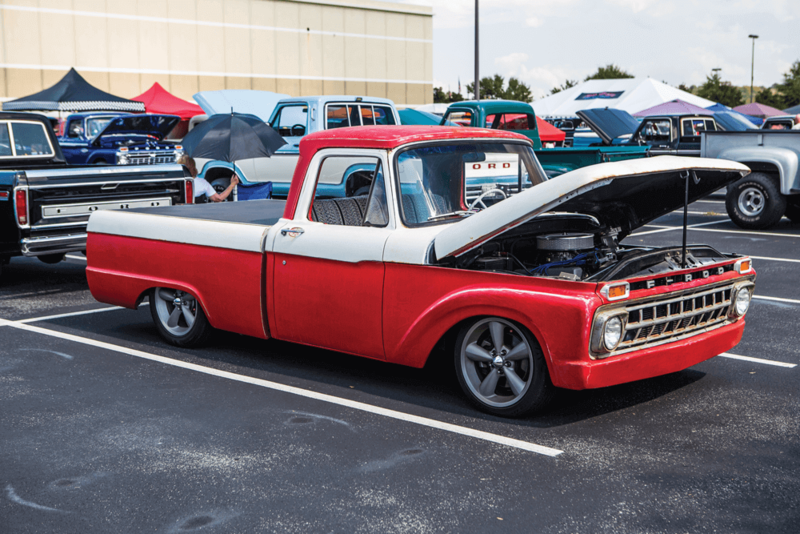 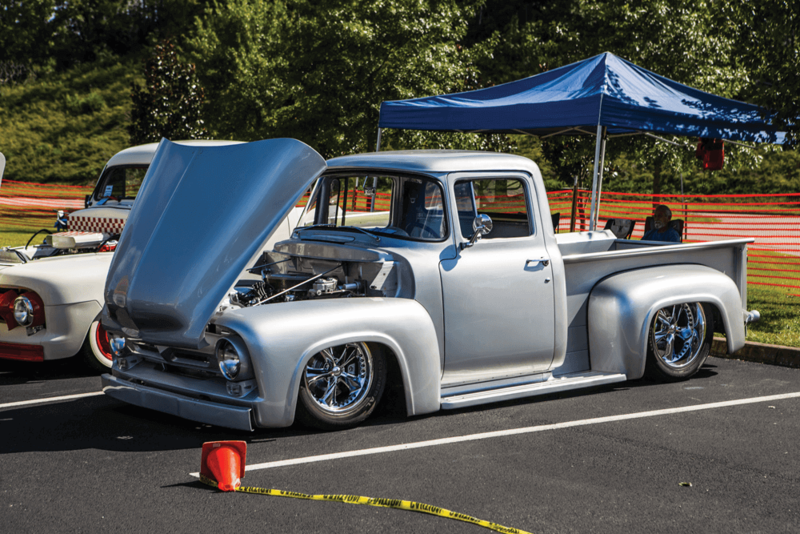 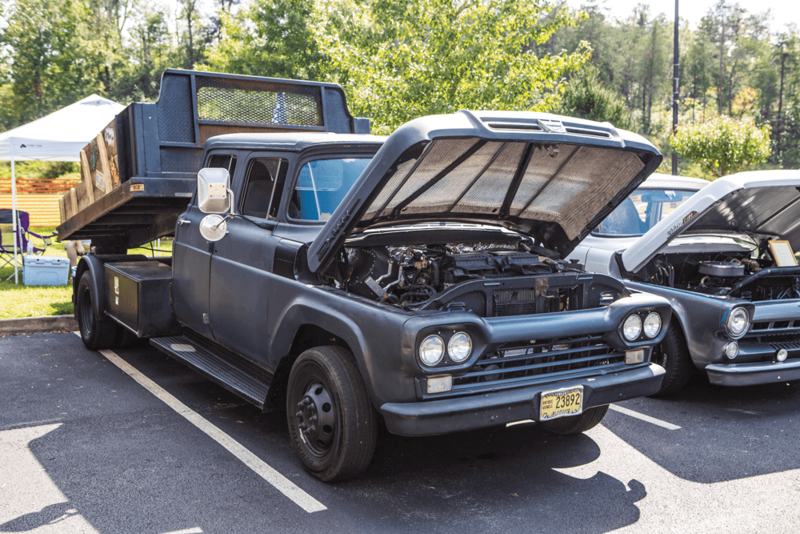 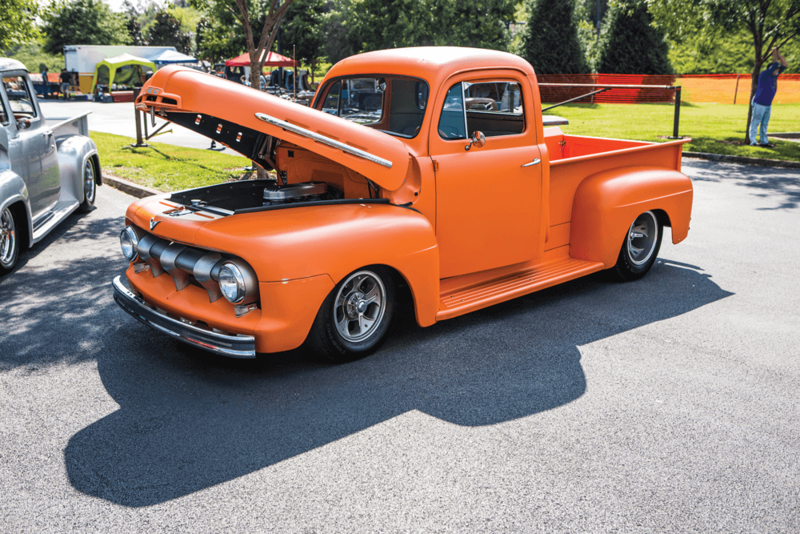 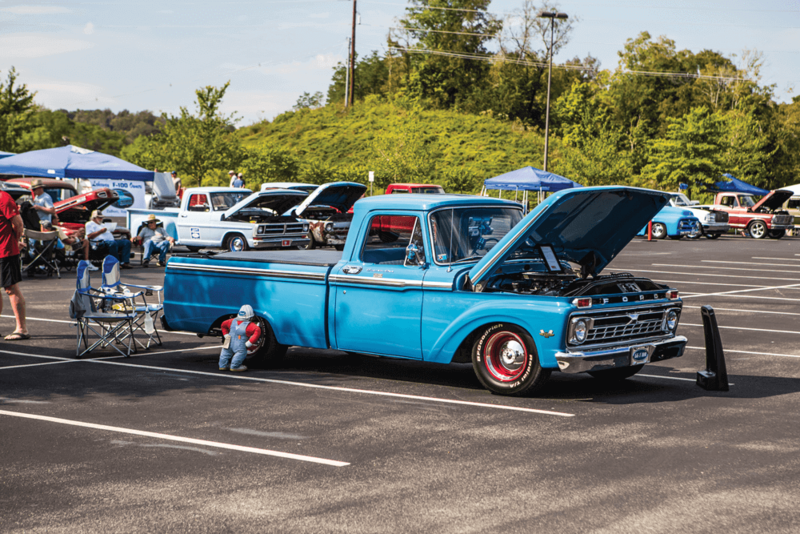 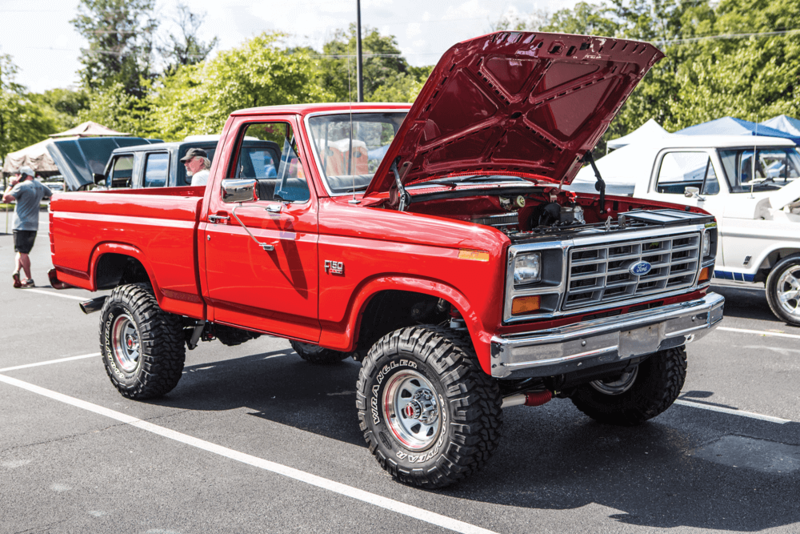 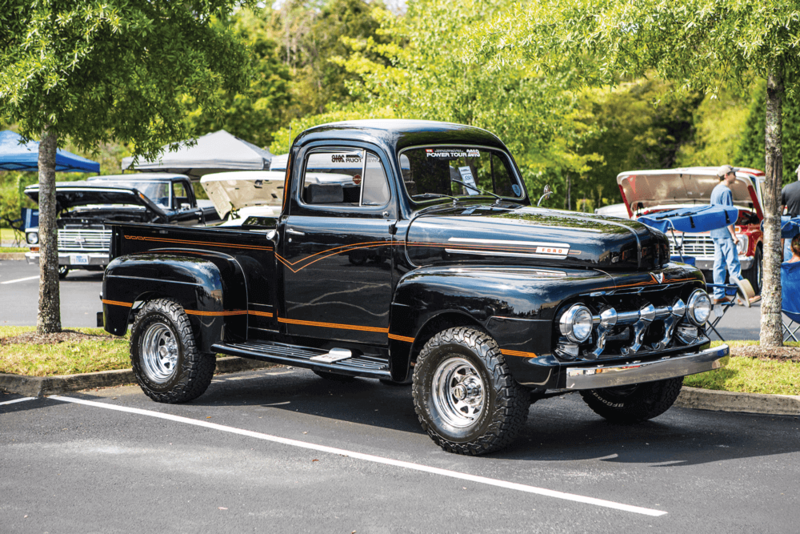 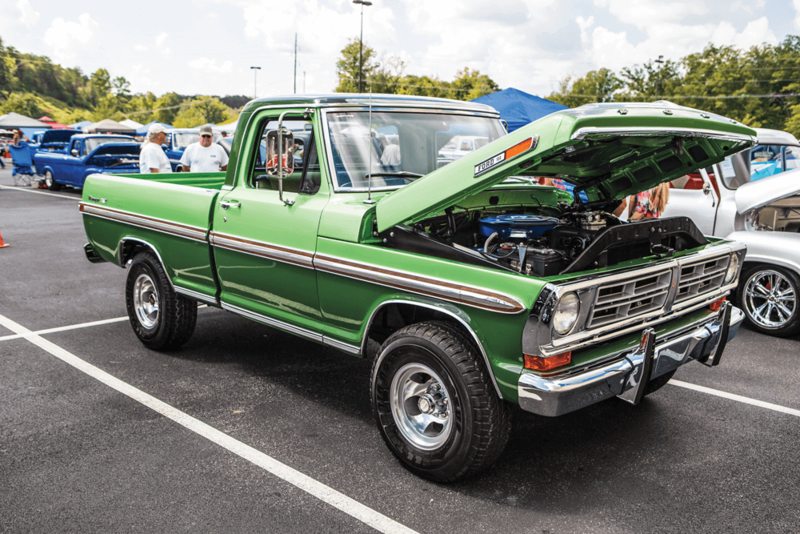 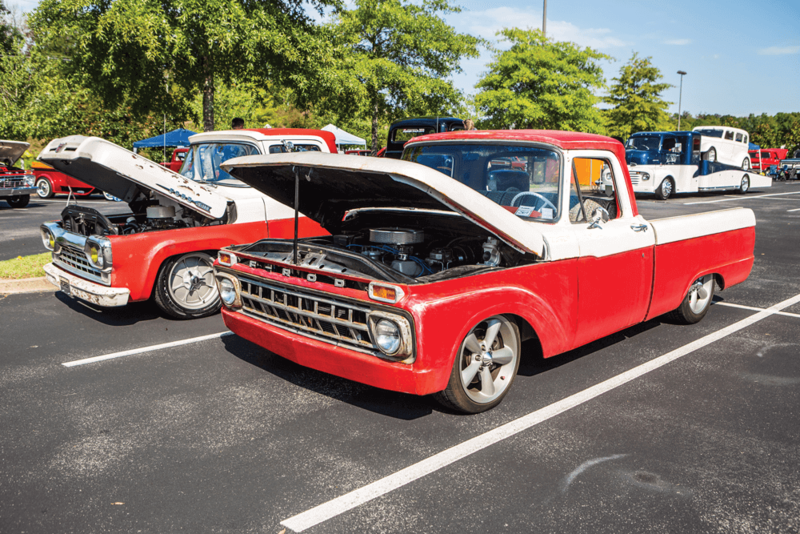 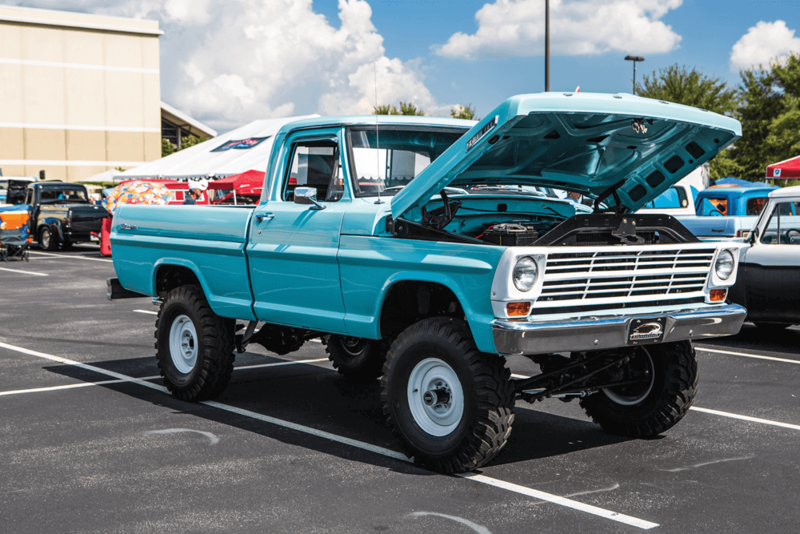 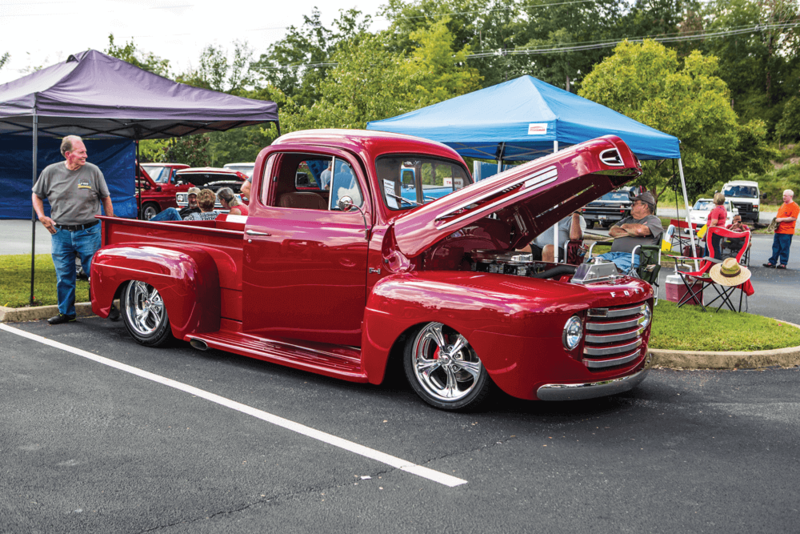 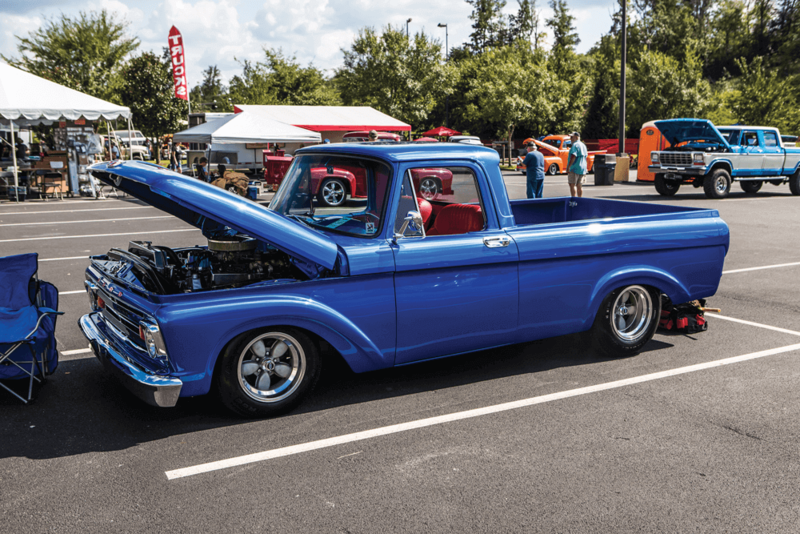 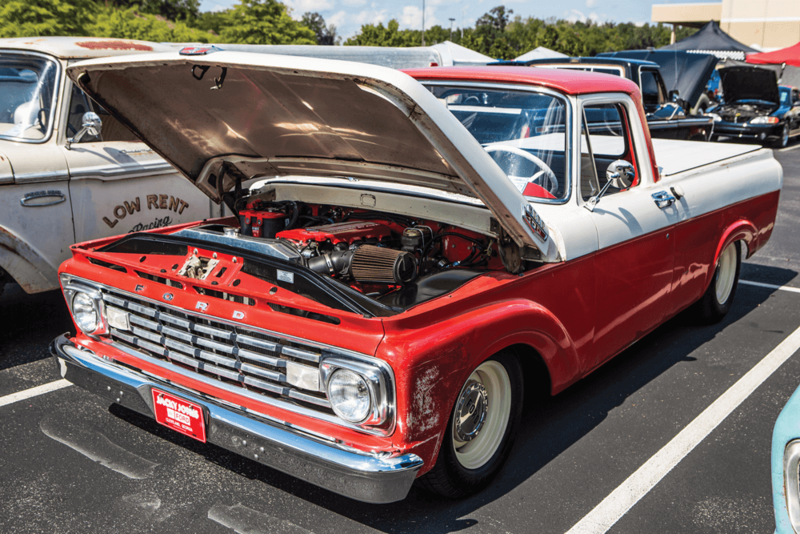 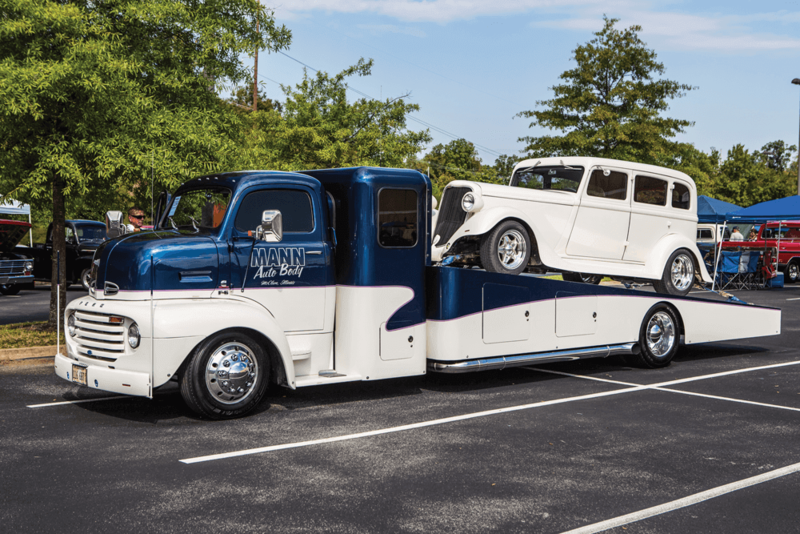 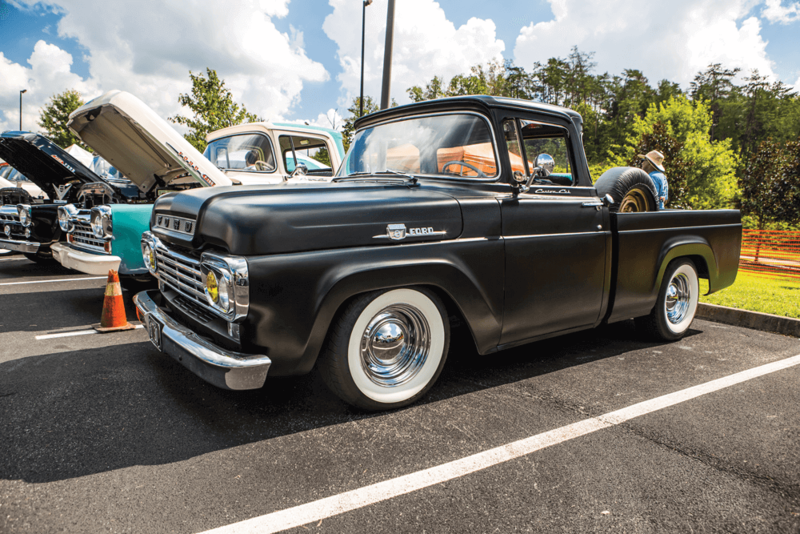 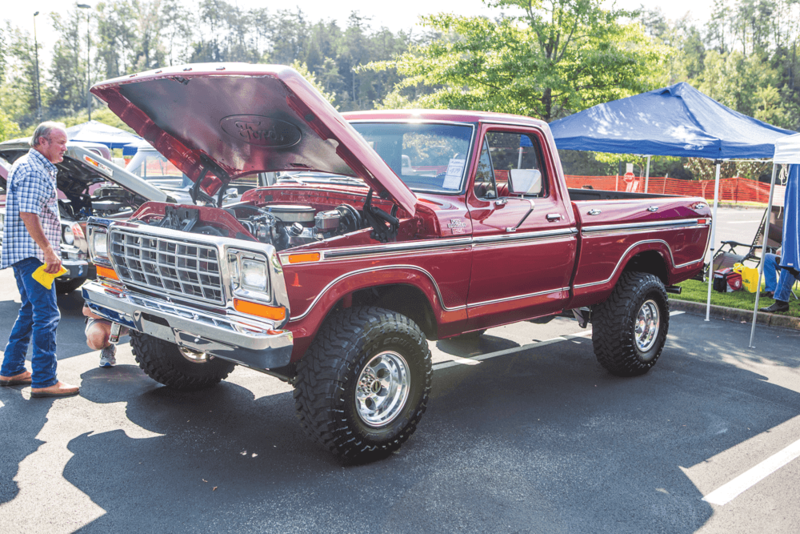 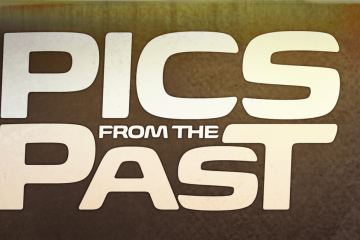 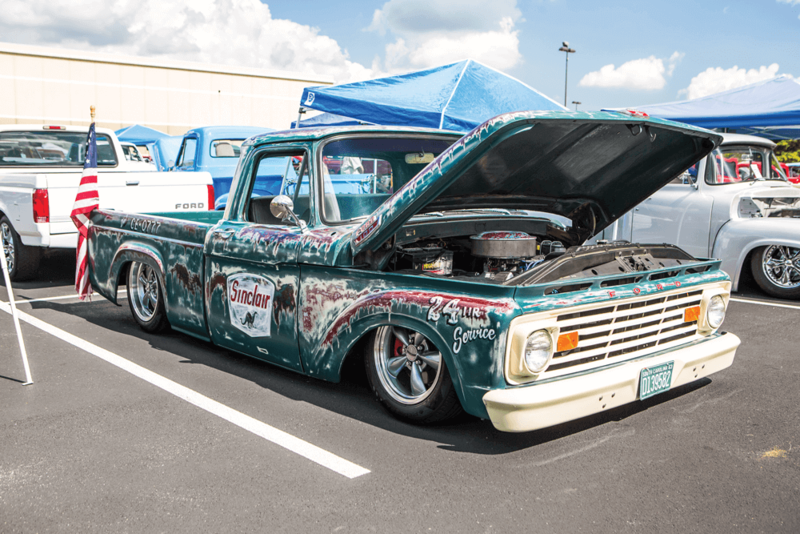 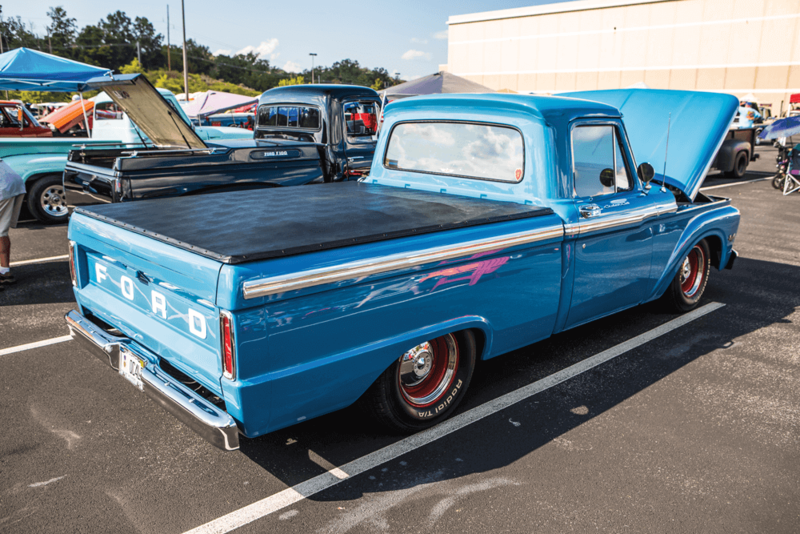 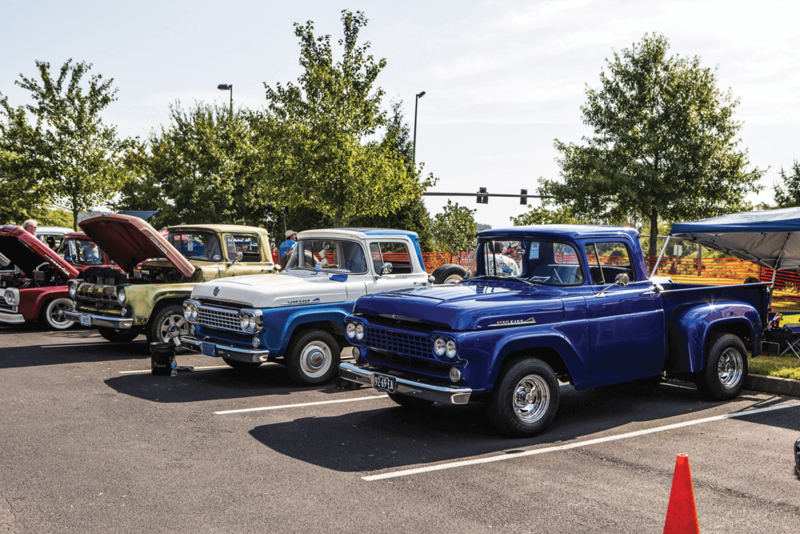 As one of the premier F-100 shows across the country, people and trucks from all corners of the US and beyond came to experience all this show had to offer. 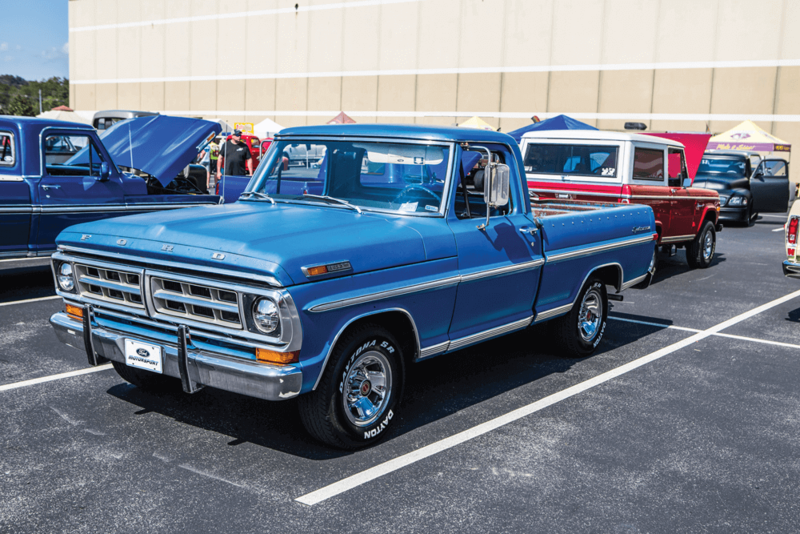 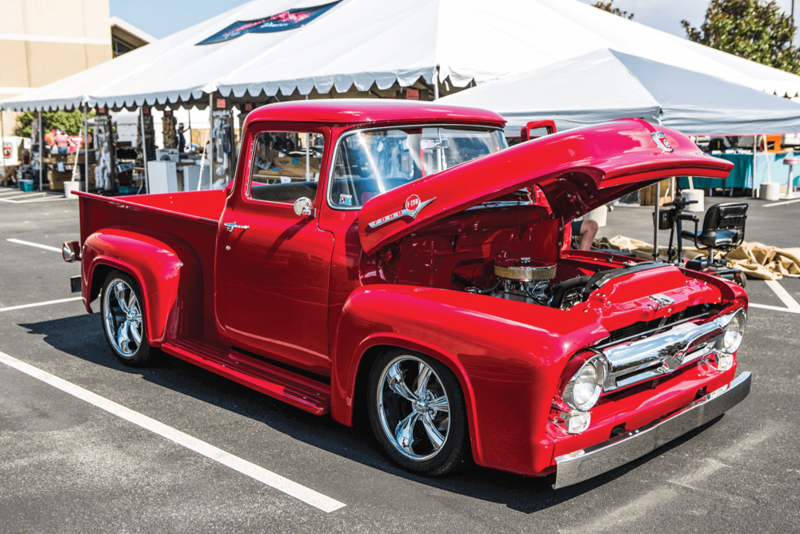 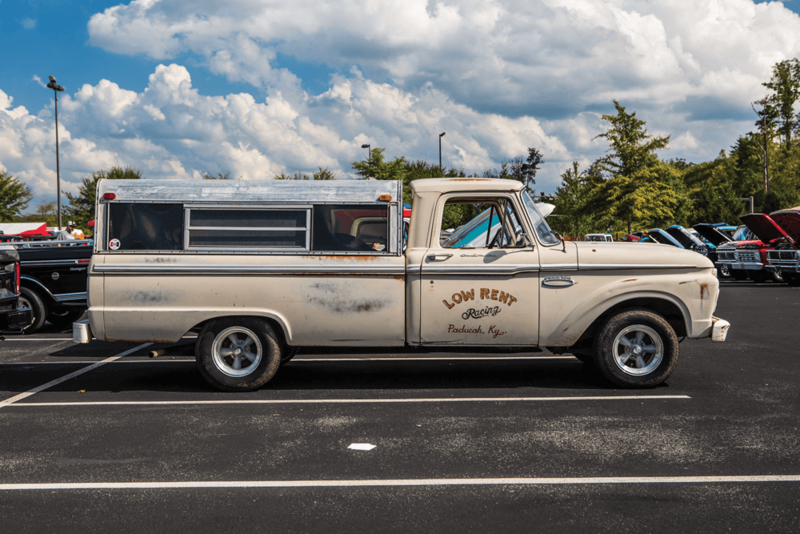 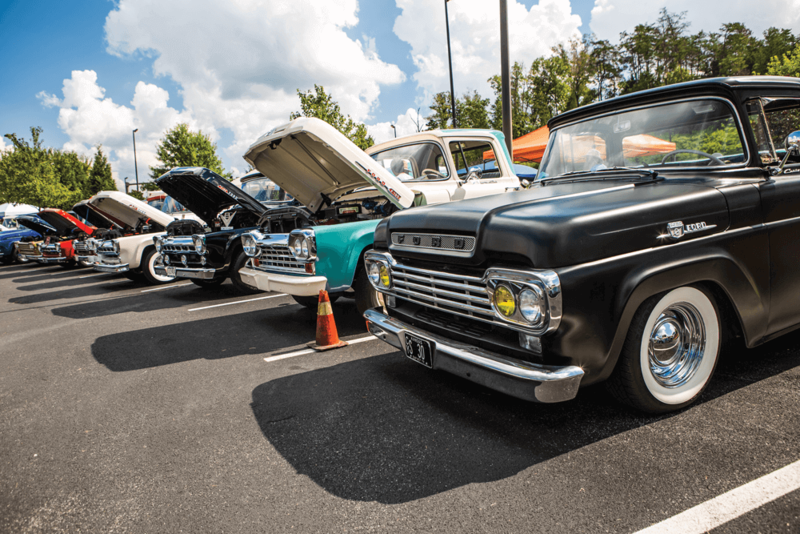 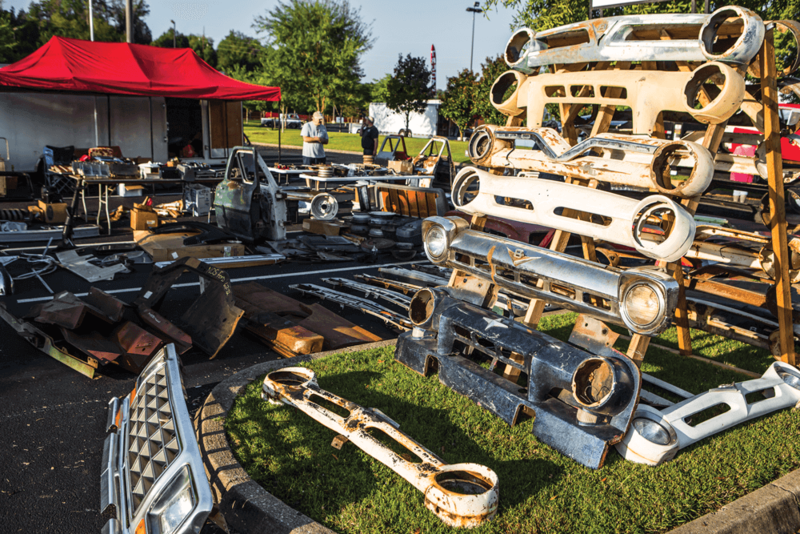 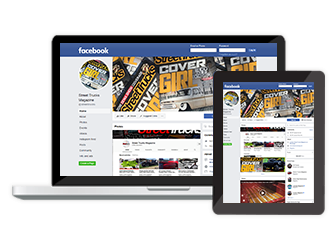 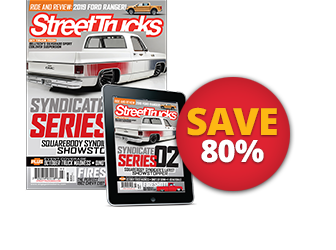 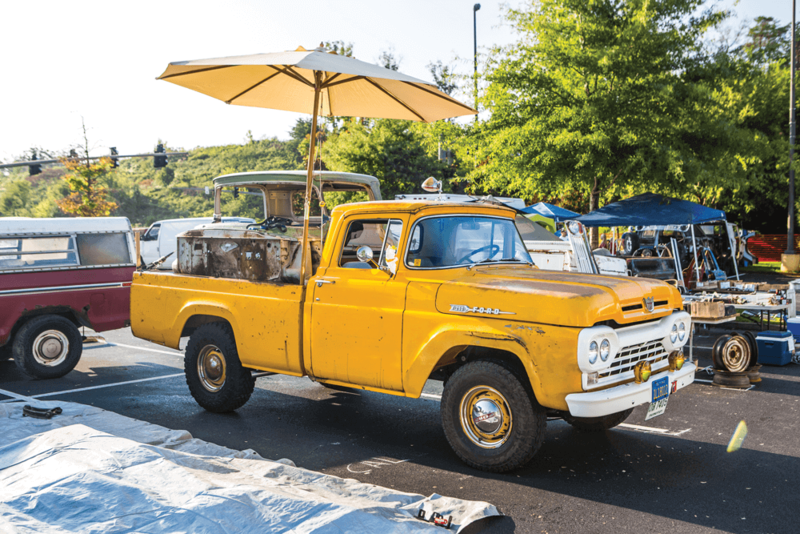 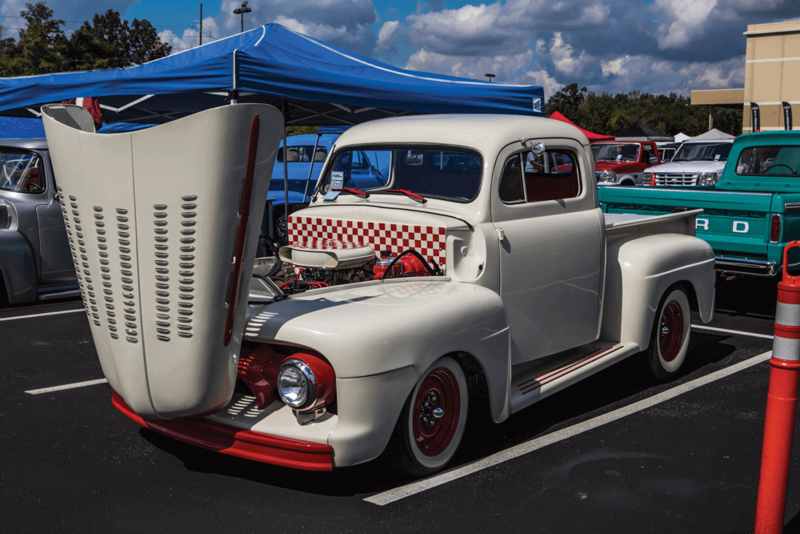 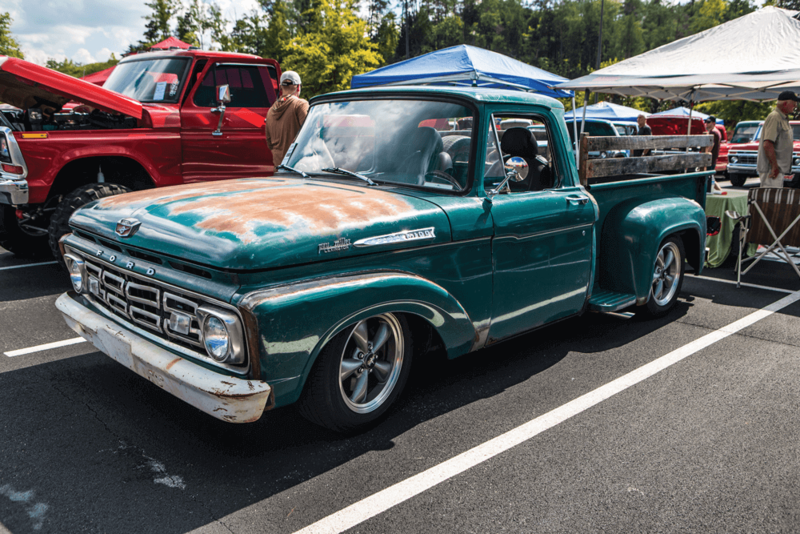 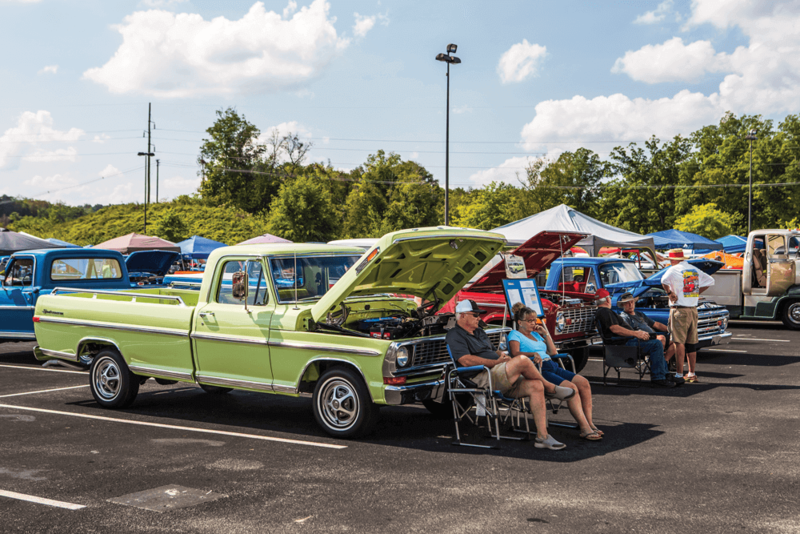 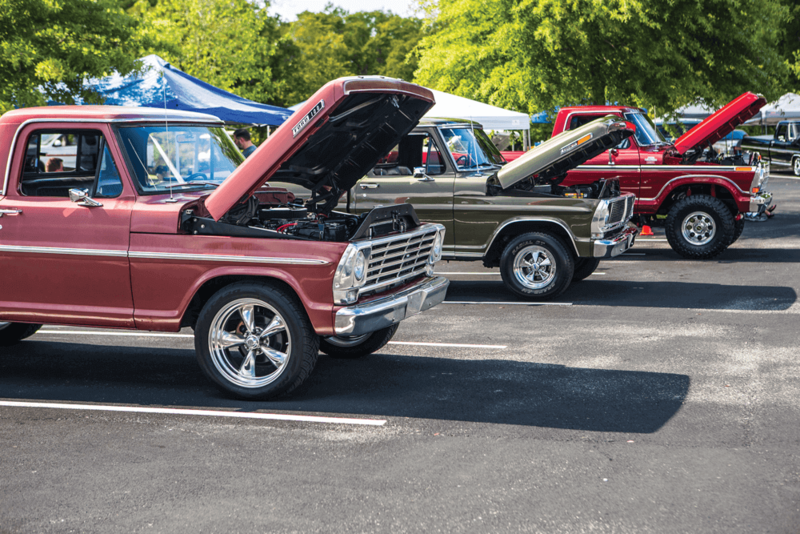 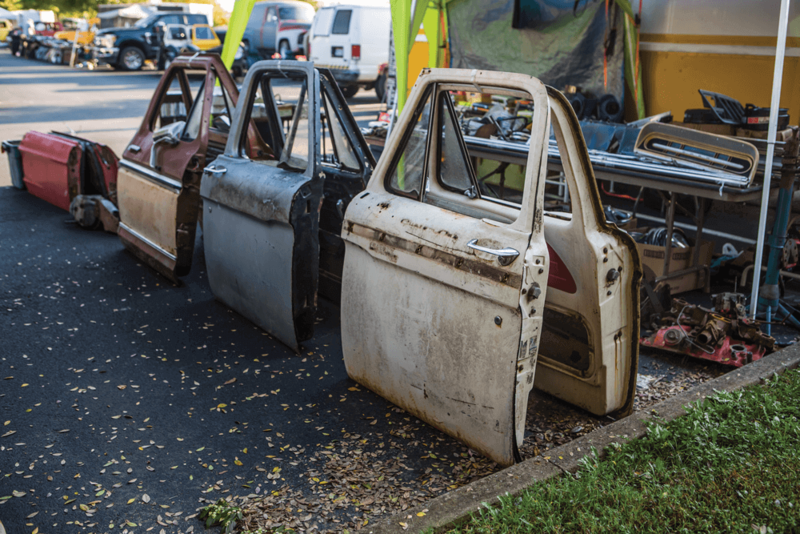 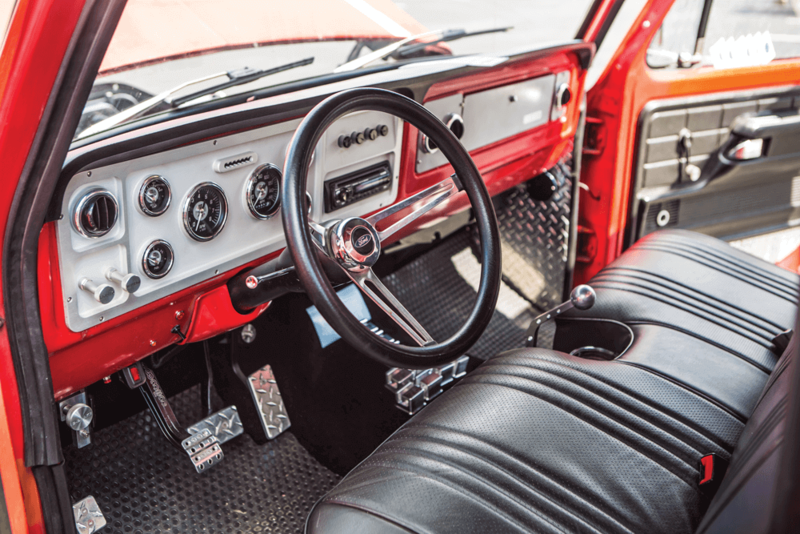 With more than 750 registered Ford trucks, dozens of swap meet-ers and vendors alike, it was definitely a good time for any F-100 and Ford enthusiast. 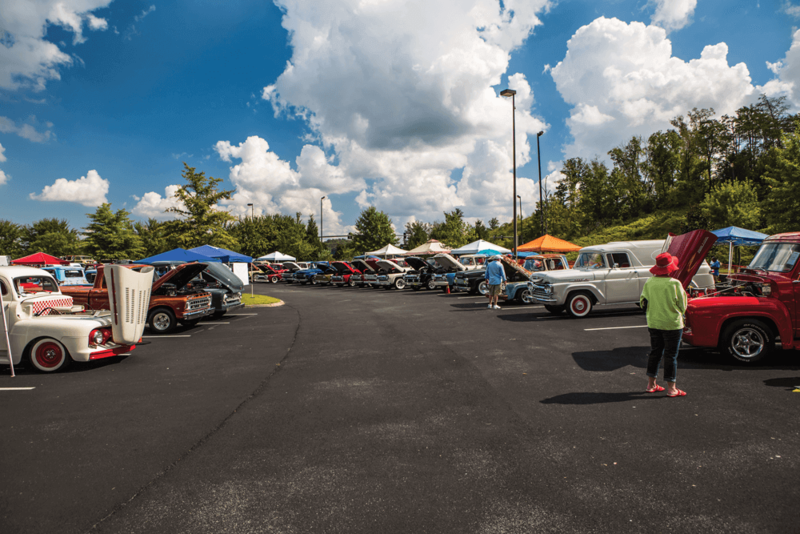 Charlie Cobble is the man in charge of putting together this annual event and many other shows like it. 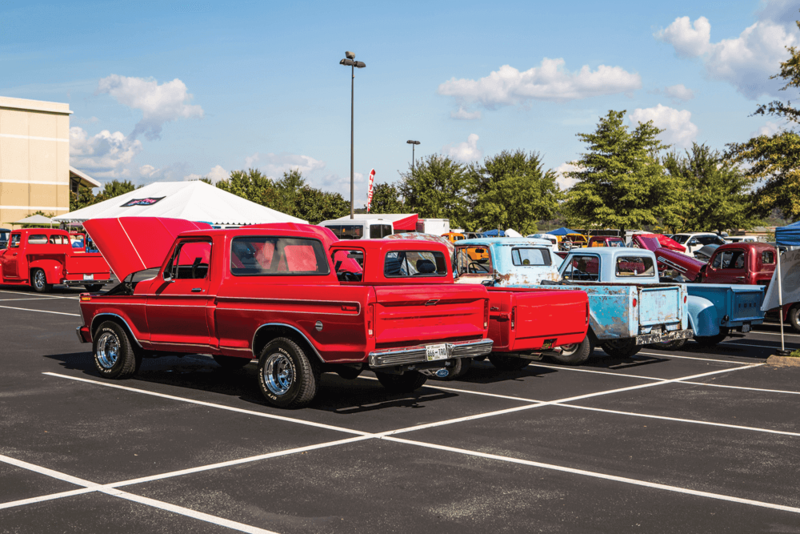 He said next year’s Super Nationals will be bigger and better than ever, and we can’t wait for what’s in store. 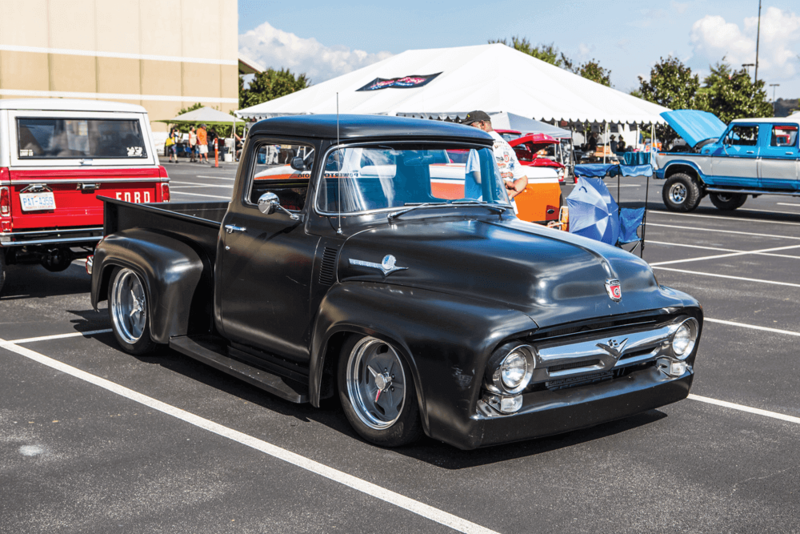 The show will be moving inside the convention center and we plan on making a big appearance to help celebrate. 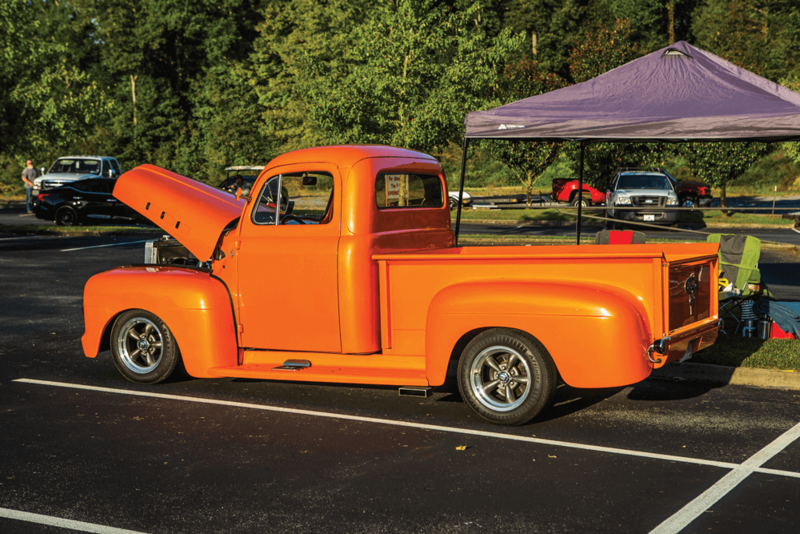 Mark your calendar with next year’s dates—Oct. 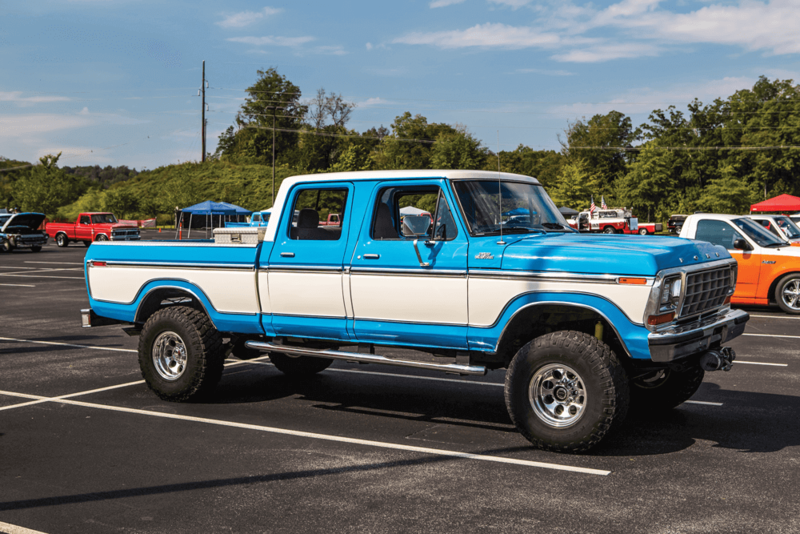 3-5, 2019. 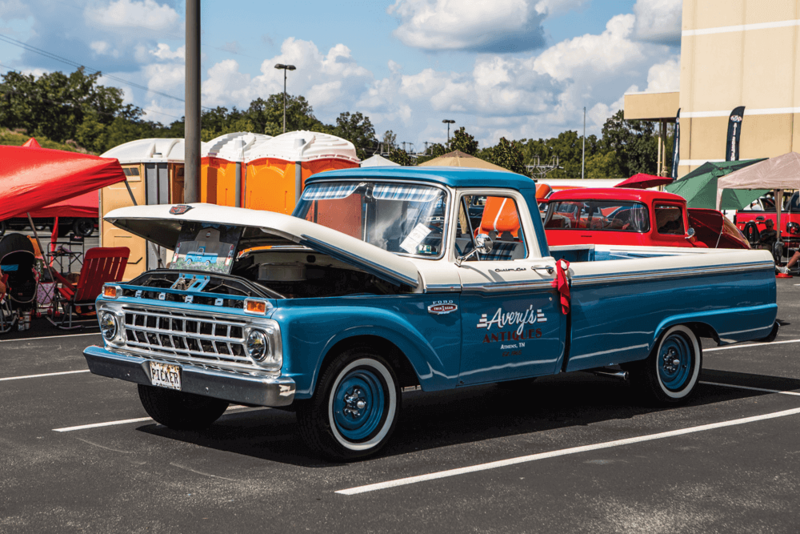 For more info, check out F-100SuperNationals.com, and we’ll see you out there! 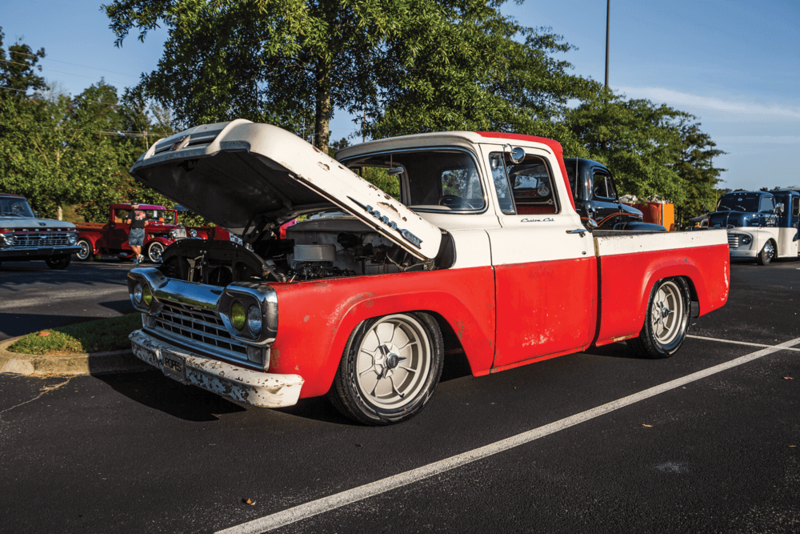 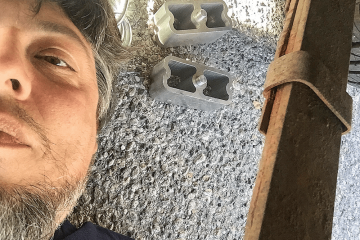 Scott Ledbetter drove his Fridge all the way from California, and it was loaded up with parts for the swap meet. 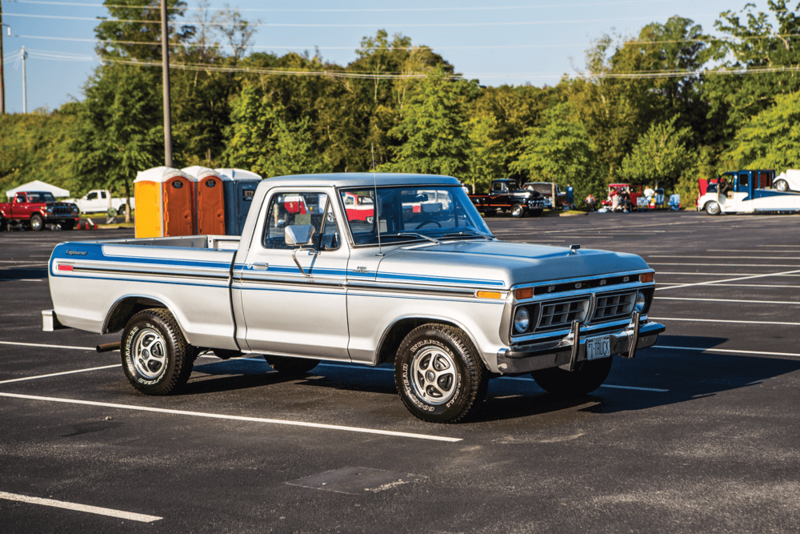 Joey’s 1979 F-150 Ranger Lariat looks so good after its restoration. 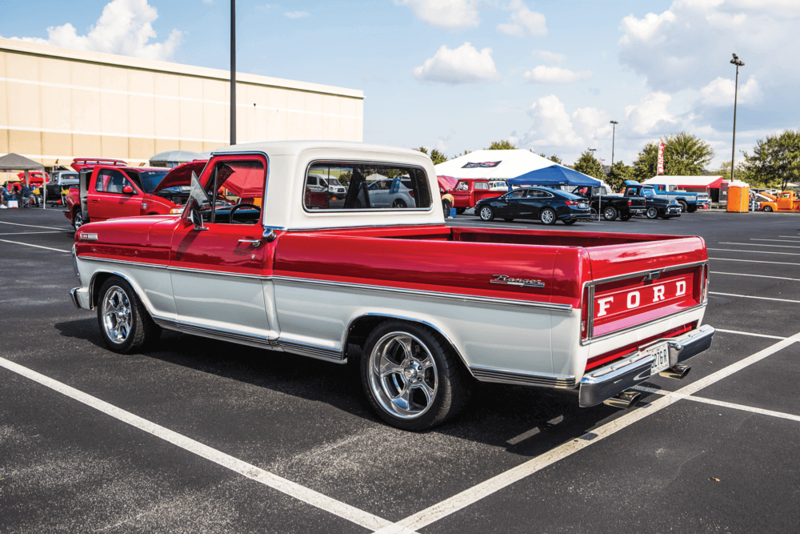 Machined Truck Parts made the trip out from Florida to show off his Dentside and these great parts he makes. 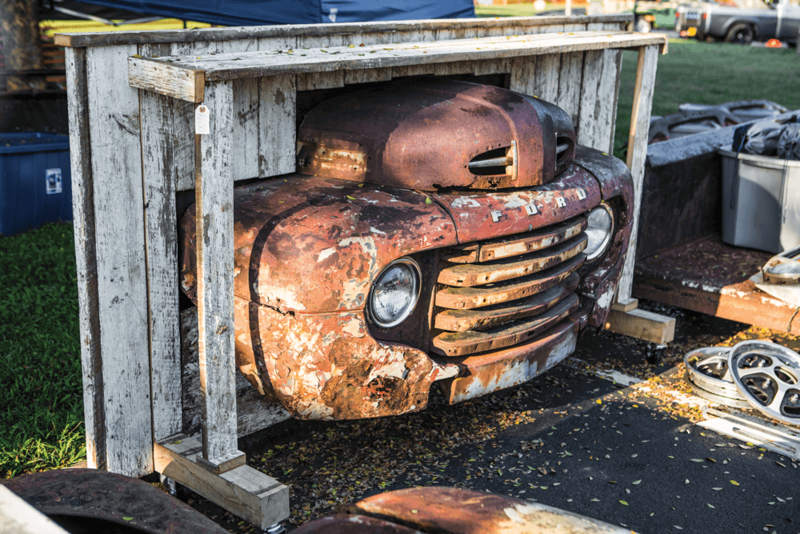 Crew Cab Fridge sitting on a newer dually frame and drivetrain. 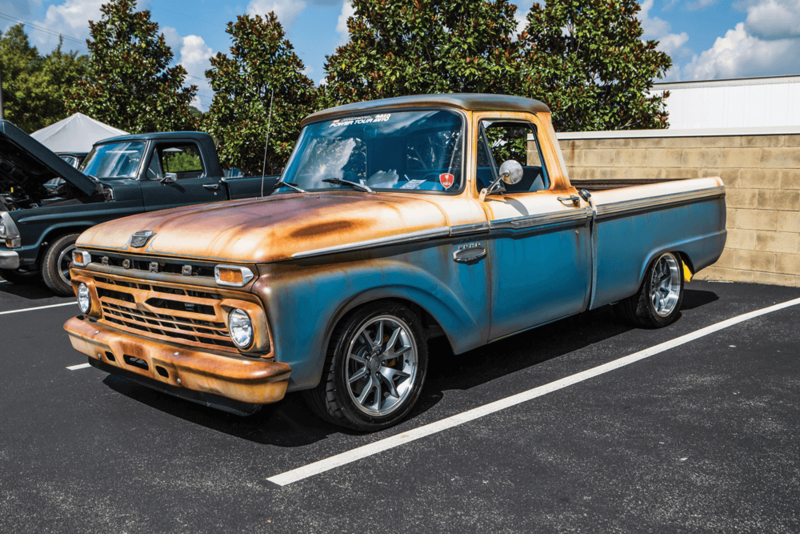 It’s this fella’s daily driver. 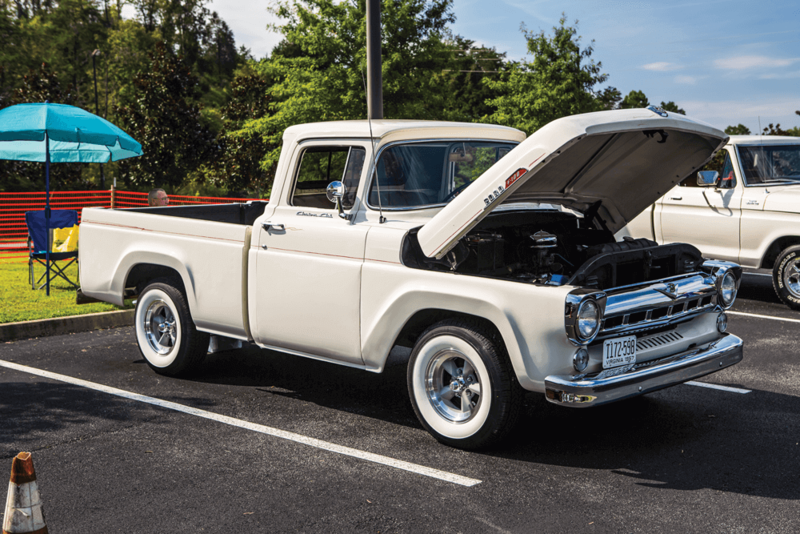 Charles’ 1963 F-100 Unibody sitting good as ever. 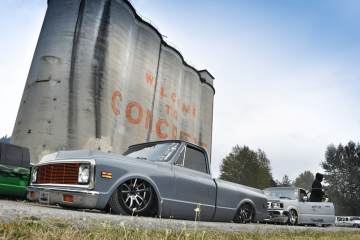 Kade’s ‘79 4×4, a.k.a. 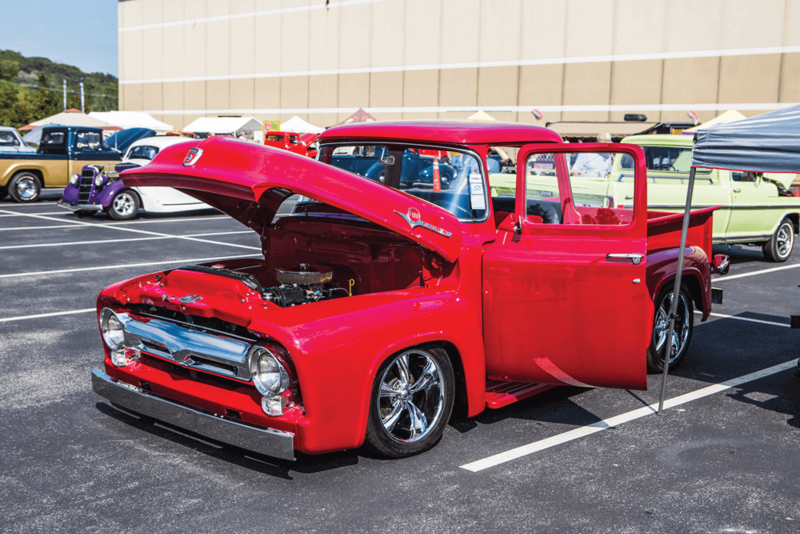 Big Red, was there for an impact.